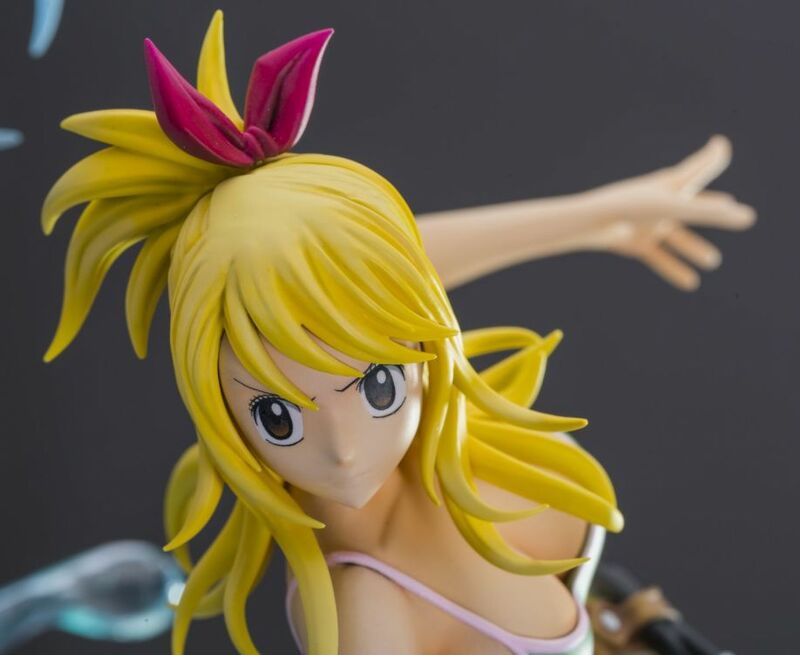 From the Fairy Tail anime. 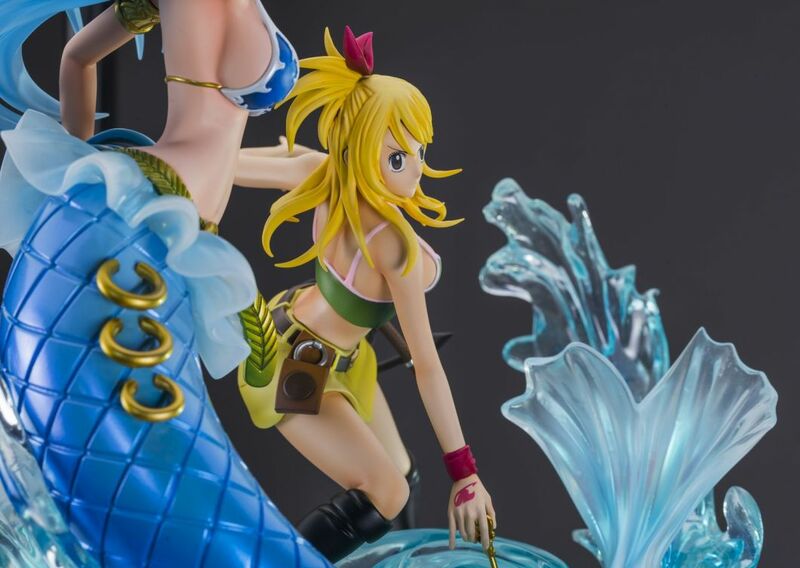 Included one Lucy Heartfilia figure, its Aquarius invocation and the base in a window box. 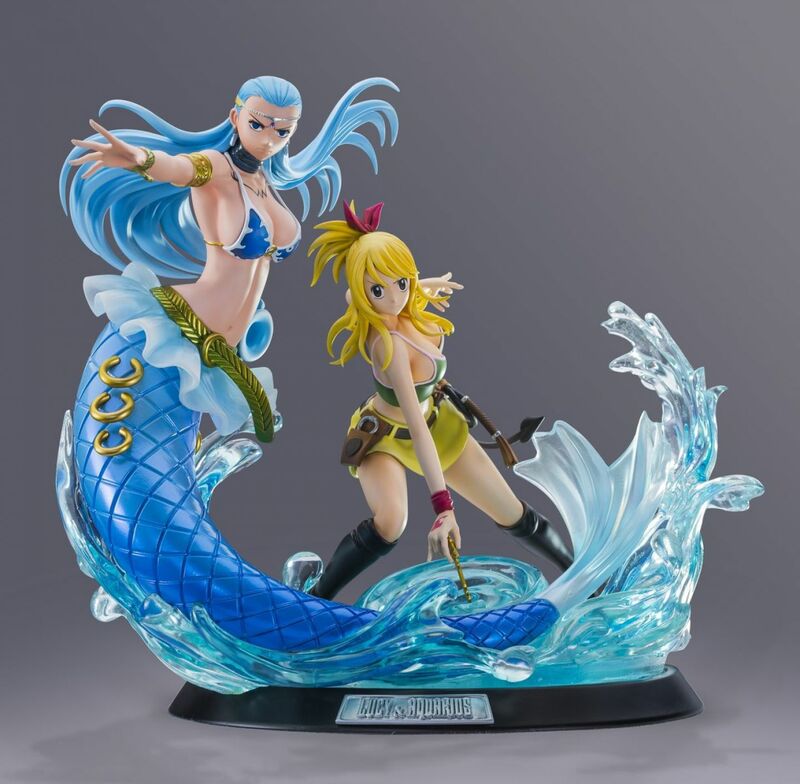 The 200 first pieces sold on Tsume-art.com will be signed by the artistic team. Final product could vary. 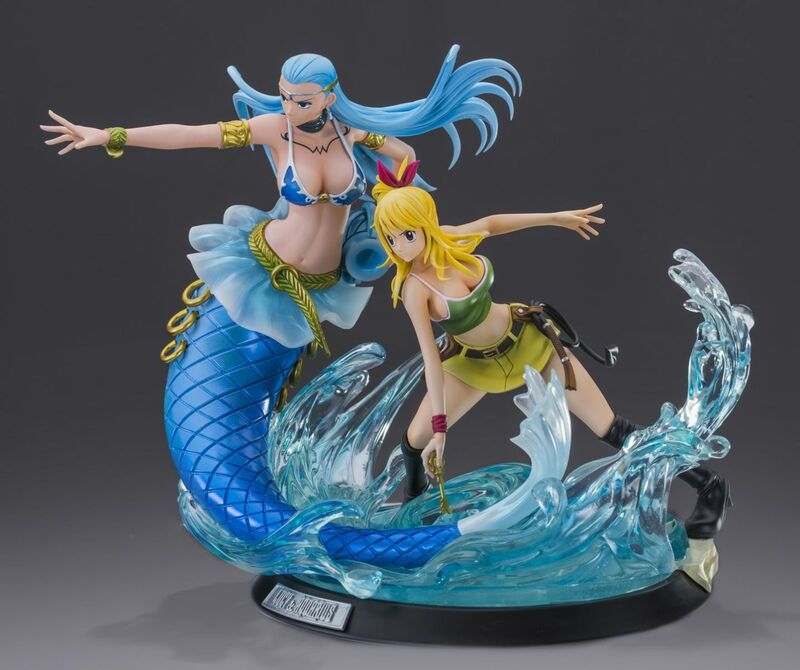 Lucy Heartfilia & Aquarius HQF by Tsume is the fifth figure we created from Hiro Mashima's masterpiece, Fairy Tail. 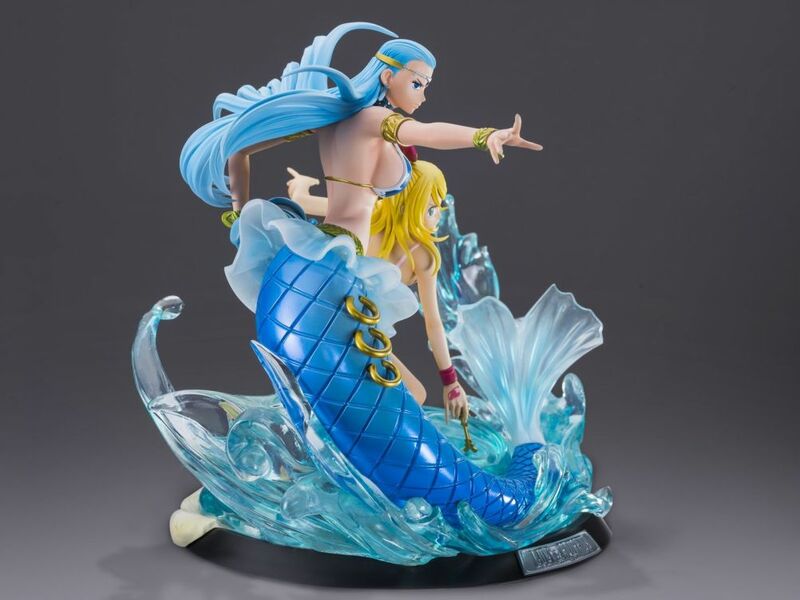 It features Natsu's teammate as she summons one of the powerful Celestial Spirits she has access to : The mighty Aquarius! 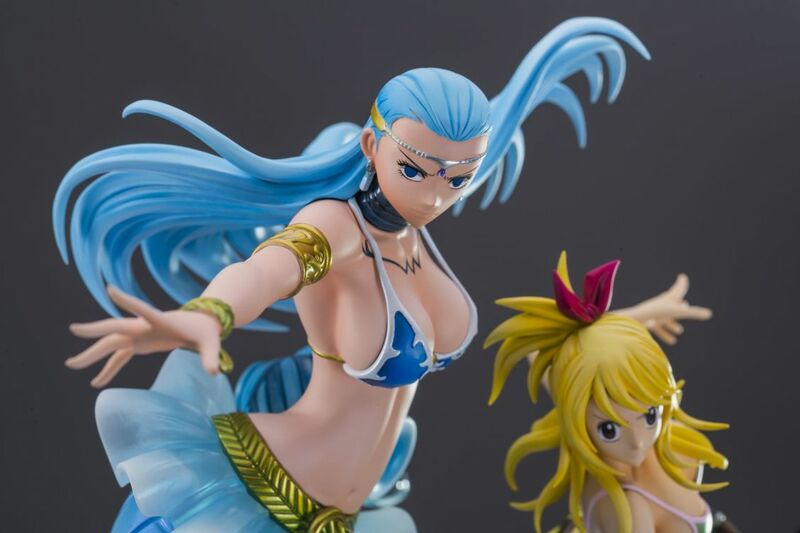 Of course, as she opens Aquarius Gate, Lucy is standing with her new ally in a river. 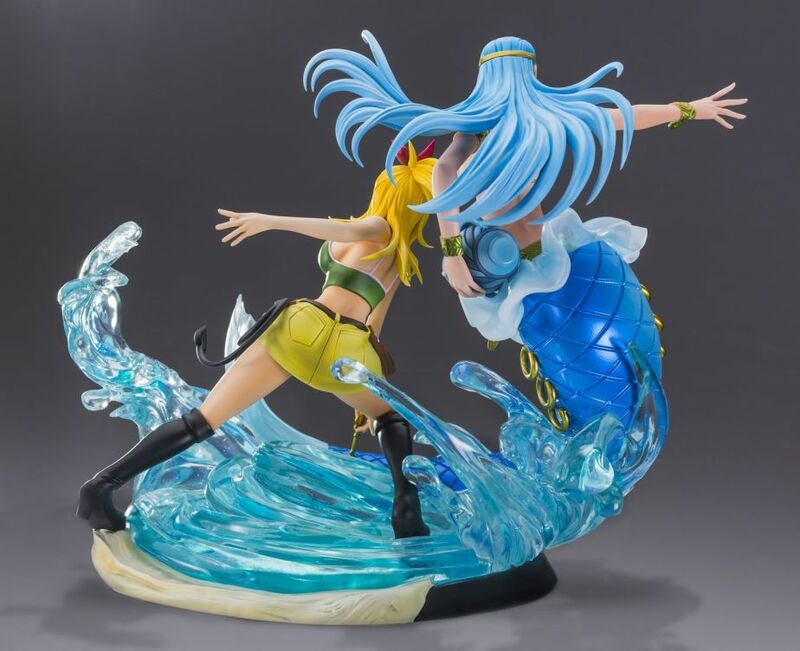 The water effect on the base is stunning and very dynamic. 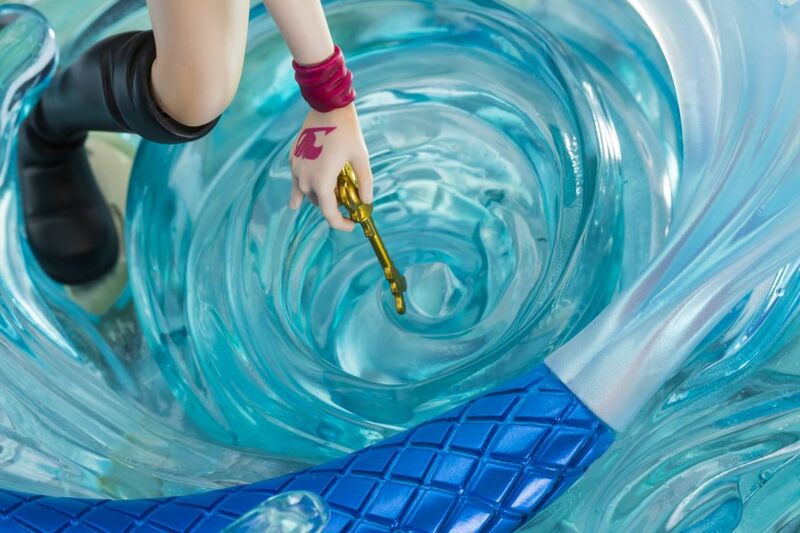 Lucy's sculpture has lots of details: her whip, outfit or the bow in her hair, fans will find all the features they are expecting when looking at a figure of her. 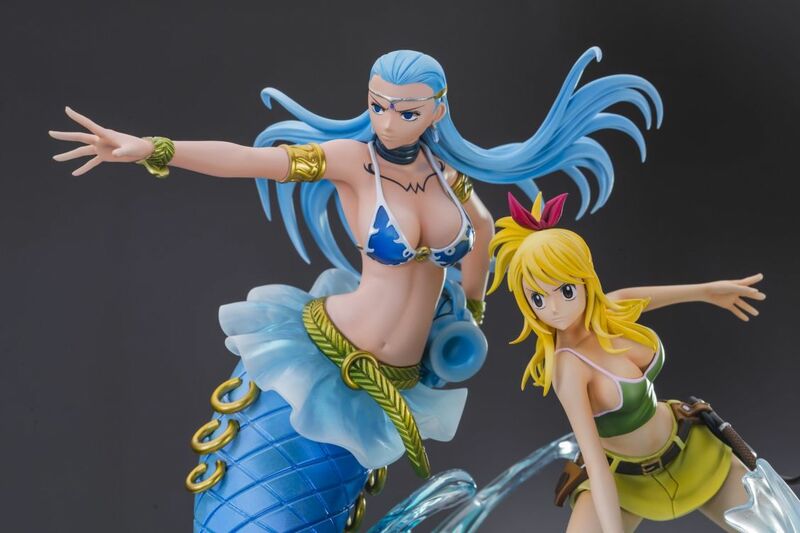 Aquarius is just as detailed as Lucy with her face displaying her well known bad temper and all the jewels she usually displays on her outfit. 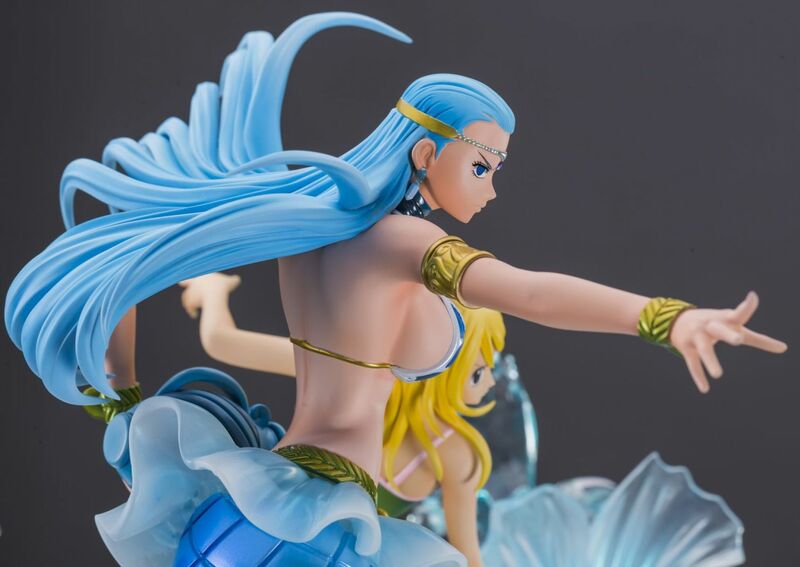 This figure is even more impressive as Grey HQF by Tsume was and collectors will have the opportunity to watch it for hours, given all the details there are to look on it!